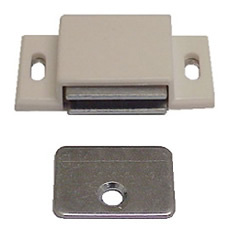 Magnetic catch for cabinet doors. Plastic case is self-aligning to the strike plate. Lifetime magnet. Comes with mounting screws and strike.